Product prices and availability are accurate as of 2019-04-20 16:00:14 BST and are subject to change. Any price and availability information displayed on http://www.amazon.co.uk/ at the time of purchase will apply to the purchase of this product. 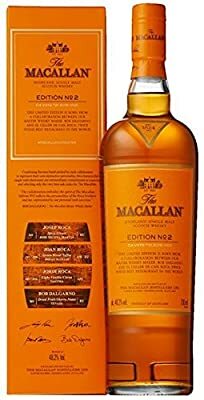 "70cl / 48.2% - The second release from the Macallan Edition series is a collaboration between Master Whisky Maker Bob Dalgarno and the three brothers behind El Celler de Can Roca (named Best Restaurant in the World twice by Restaurant magazine). 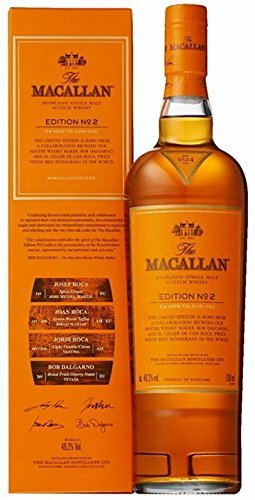 This single malt was drawn from a combination of European and American oak casks. Please note: There's some slight wear and tear to the presentation box. This bottle was part of a private collection - if you'd like more detailed photos just get in touch."